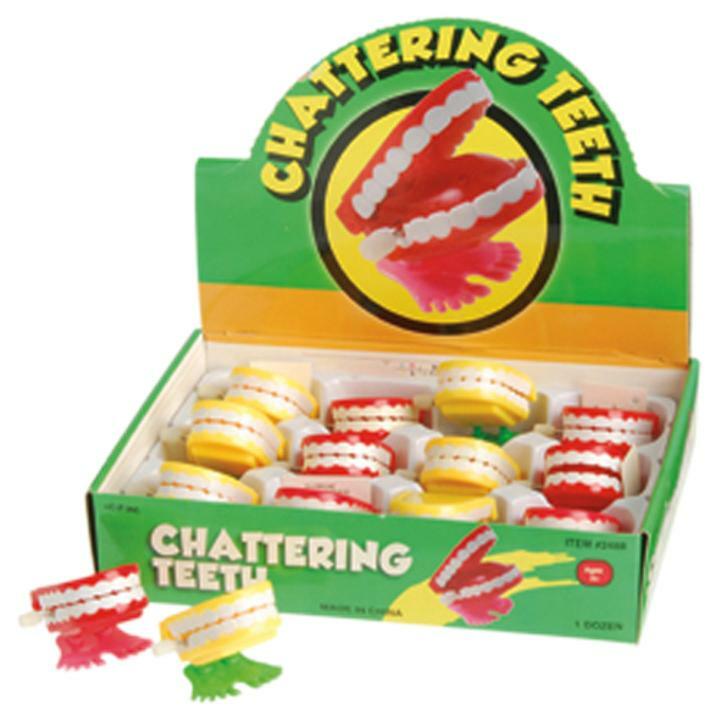 Cheap Chattering Teeth - 12 Ct.
Chattering teeth are a classic novelty toy. Everyone loves these wind up toys. Even adults look back fondly on their days of having their chattering teeth confiscated in school. So pass these out in party favor loot bags at any party. Children will love the new toy and adults will be nostalgic. Looking for more laughs? With wide selection of jokes, gags and tricks you'll find what you need to play a prank on April Fool's day or any occasion requiring a laugh. Fill party favor loot bags with the classic joke toys and keep your guests laughing. L: 8.1 in. W: 5.9 in. H: 2.2 in.